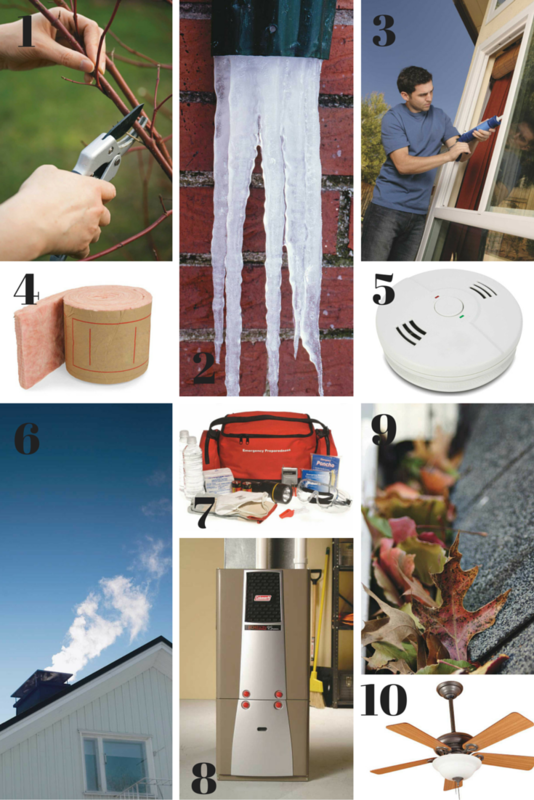 How to Winterize: Just as you prepare your family for winter by digging out the long-sleeve shirts, sweaters and coats or jackets, you can prepare your home for the onslaught of cold weather with a few relatively simple measures. Trim weak trees and branches that might break during winter storms. “They could cause damage to your house or car,” cautions All State Insurance Company spokesperson Stephanie Sheppard. Prune limbs that hang too close to the house or electrical wires and be sure to move sensitive potted plants indoors. Most pipes are located within walls, where it can be significantly colder than the rest of the house. 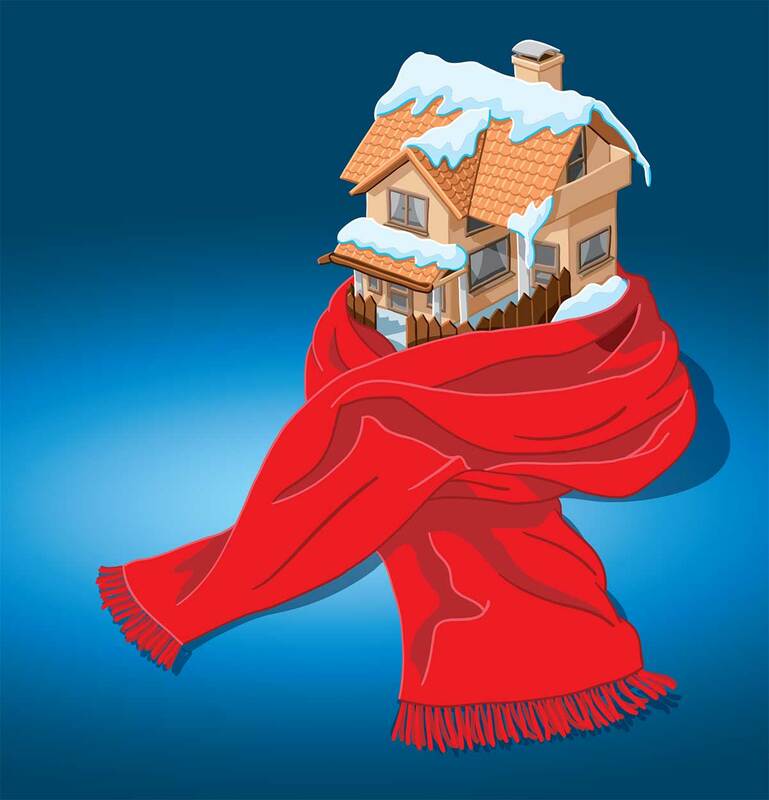 Setting your home temperature no lower than 65 degrees will help keep these pipes from freezing. Install storm doors and windows, or put plastic sheeting over single-pane windows. Add foam gaskets behind electrical outlet plates on exterior-facing walls. Caulk and seal air leaks where plumbing, ductwork and wiring go through walls, ceiling and floors. “Feel for drafts with your hand or watch for horizontal smoke from an incense stick as you wander through the house,” Gromicko suggests. Residential fires increase in winter, so make sure your smoke alarms have fresh batteries. Consider installing a carbon dioxide detector, especially since a well-sealed home can trap this toxic gas. The National Fire Protection Agency recommends that a chimney be inspected annually to determine if cleaning or repairs are necessary. To ensure that critters don’t take up residence in your chimney, consider buying a protective chimney cap. Also, remember to keep the damper closed when the fireplace isn’t in use so that you can keep the cold air out. Candles, matches, flashlights, bottled water, blankets and battery back-up systems will come in handy if the power goes out — as will the phone numbers of your utility providers! Furnaces should be serviced annually. Keeping your furnace cleaned and maintained will help it last longer and reduce energy usage. A well-maintained furnace also helps prevent fire and the production of deadly amounts of carbon monoxide, which can be emitted from a dirty, inefficiently burning furnace. Also, be sure to clean or replace your furnace air filter as often as the package indicates. Remove leaves and debris to allow water to flow freely, helping prevent interior leaks and mold growth. Consider installing “gutter guards” to prevent debris in the first place. Reverse the rotation of your fans to push warm air down and force it to recirculate throughout rooms. A fan has been reversed if it spins clockwise.